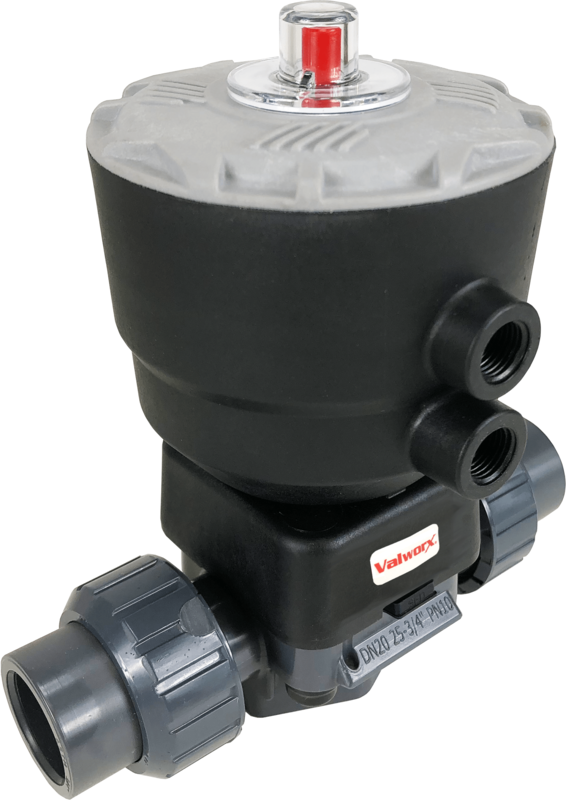 Press Release (ePRNews.com) - CORNELIUS, N.C. - Jan 23, 2019 - Valworx announced today they introduced their new line of pneumatic PVC Diaphragm Valves. Valworx pneumatic PVC Diaphragm Valves feature a high-flow, weir-style body design and are especially suited for abrasive or dirty fluids. Valworx pneumatic PVC Diaphragm Valves are available for immediate sale and shipment, in sizes from ½ to 2 inches. Diaphragm materials are in EPDM, PTFE, and FPM. All Valworx products are fully tested prior to shipment to ensure trouble-free operation. Orders received before 3 P.M. EST usually ship same day. Established in 1991, Valworx is a leading manufacturer and distributor of actuated valves and controls. Valworx builds and tests all of their valve assemblies prior to shipment. Orders over $99 ship free anywhere in the contiguous United States. The company offers 24/7 online ordering and free lifetime technical support. All of Valworx’s actuated valves come with a full one year warranty and 60-day return policy.